Forget energy drinks and protein shakes, switch to coconut water instead. It will provide you with the energy and nutrients you need, minus the calories! 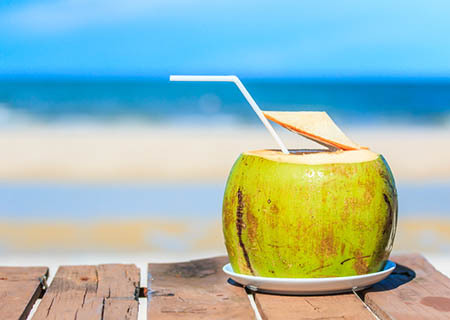 Coconut water is a perfect replacement for any artificial or energy drink. The fat content in this magical drink is low and suppresses your appetite thereby making you feel full for longer. Coconut water hydrates your gastrointestinal tract while fluid loss through diarrhoea. It provides you with essential elements that serves as a perfect option to fight water loss.